iFly Indoor Skydiving offers the most exhilarating, involving and rewarding experience imaginable, without falling off from an airplane on a parachute. 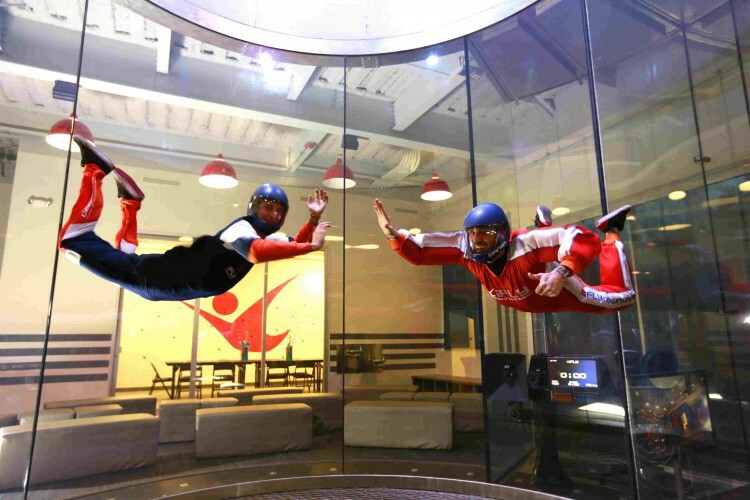 Located next to the Penrith Panthers World of Entertainment, you get to experience skydiving at iFly in its giant glass tube where a massive wind generator lifts you effortlessly into flight on a cushion of air. Experience skydiving without the dangers of falling off from a plane. Photo from iFly website. It is perfect even for beginners, and is safe for children as young as 3 years old. An hour-long introductory session includes pre-flight training, jumpsuit and all safety gear. There will be no planes, no heights and no jumping involved, and an expert personal instructor will always be by your side to offer guidance and reassurance. Inside a huge, vertical glass tube, a massive wind generator will propel you effortlessly skyward, and an all-round viewing platform lets you share the experience with family and friends. Flight time in iFly lasts longer than a real outdoor skydive. It means you get to experience skydiving more in absolute safety.